Over the past decade, China’s Communist Party leadership has embraced law to an unprecedented degree. China’s leaders view creating a fair and effective legal system as crucial to their own legitimacy. 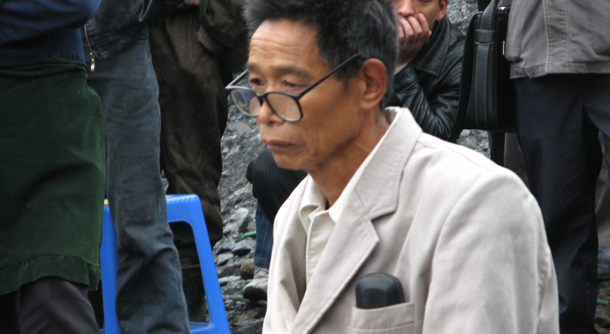 In a society in which few true believers in communism remain, and in which the sole ideology often appears to be economic growth at any cost, strengthening the legal system has become a tool for curbing abuses, for addressing inequalities within China, and for confirming China’s place as a major international power. Can this strategy succeed? Can China transform its legal system into one that provides a stable framework for business and foreign investment, that addresses the grievances of those left behind by China’s economic miracle, and that curbs corruption and wrongdoing by official actors, without posing challenges to one-party rule? As The People’s Court suggests, the answer is far from clear. Before assessing the current and possible future trajectory of Chinese legal reforms, it is important to reflect on what China has accomplished thus far. In the thirty years since China began its legal reforms in 1978, the country has undergone perhaps the most rapid development of any legal system in world history. China has tried over the past three decades to accomplish a level of lawmaking and legal development that occurred over centuries in most western nations. China had no functioning legal system as it emerged from the Cultural Revolution and began opening to the outside world in 1978. The lack of a legal system during the Cultural Revolution was particularly striking given that for much of the past two thousand years China had one of the most sophisticated legal systems in the world. Realizing how far China has come adds perspective that is important for understanding current developments — and also why many in China bristle at western criticism of China’s legal system. Since 1978, the changes have been remarkable. There were three thousand lawyers in China in 1978, virtually all of whom had been trained in the 1950s or earlier. Today there are approximately 150,000 lawyers, making the Chinese legal profession the third largest in the world. 294,000 people took the Chinese bar exam in 2007 alone, with 58,000 passing. China’s law schools began accepting students again in 1977 and 1978; all but one law school closed during the Cultural Revolution. Today there are more than 500 law schools and law departments in China (more than double the number in the United States), with tens of thousands of students studying law. Large numbers of Chinese lawyers and law professors and increasing numbers of judges have spent significant periods studying in the U.S. or Europe. There were few laws on the books in the late 1970s. China suspended work on new laws, including a civil and criminal code, in the early 1960s, and did not resume this work until 1978. Over the past thirty years China has drafted thousands of laws and regulations. Initially law drafting focused on creating a basic framework for economic development, particularly matters most relevant to trade and investment. During the past decade the scope of law making has expanded greatly, with new laws addressing a wide range of topics, including not just corporate law and contracts, but also environmental regulation, women’s and children’s rights, administrative regulation, and administrative litigation. In 2007 China adopted three major new pieces of legislation relating to labor and employment law. Some of the most important changes in the Chinese legal system have been very recent. For much of the reform era most Chinese judges had little, if any, formal legal training. Today, all new judges must pass the bar exam. Older judges have gradually either been removed from hearing cases or have been forced to pursue law degrees. Three years ago official reports stated that for the first time more than fifty percent of China’s judges and procurators were university graduates, double the percentage of the early 1990s. Civil litigation was virtually irrelevant in China in 1978. 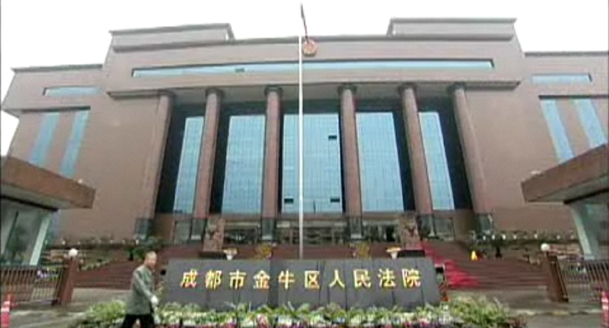 Today there are three to four million civil cases in China’s courts annually. 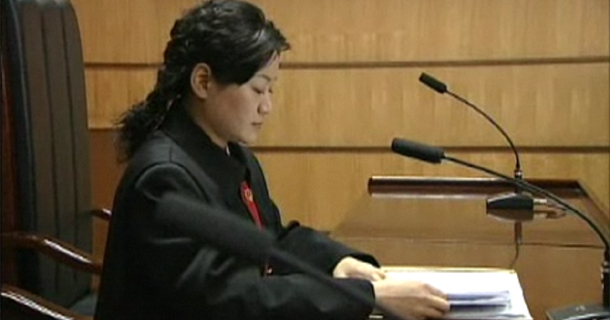 The range of cases brought to court has expanded, so that Chinese courts today hear not only family law and contract cases, but also personal injury cases, housing and land disputes, environmental lawsuits, defamation claims, and even a small number of cases brought asserting rights under China’s constitution. Ordinary people are using the system in new and creative ways, in some cases in ways that central Party-state authorities have a difficult time controlling. 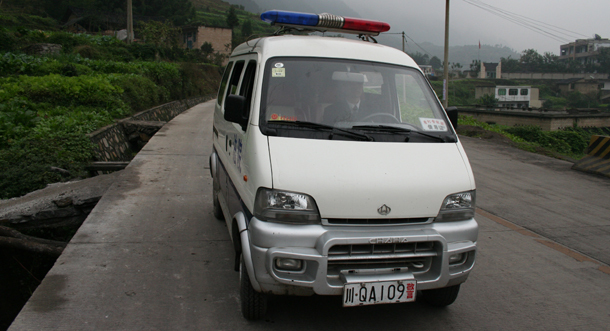 Chinese courts also hear approximately 100,000 cases a year against the government through administrative litigation. Plaintiffs in China may not always get a fair hearing of their cases, but individuals nevertheless increasingly voice their grievances in the language of law. Ordinary people have expectations of how the legal system should work. Chinese courts have also shown willingness to innovate. Thus, for example, Chinese courts have adopted the equivalent of a public person standard in some defamation cases, despite clear absence of such a standard in Chinese law. In another case a judge in Henan Province invalidated a local regulation because it conflicted with national law — a radical step in a system in which courts do not have the power to resolve such conflicts, or to invalidate legislation. Courts routinely create new legal rules in less controversial areas. The internet is facilitating court development. Just a few years ago judges had little access to information about how cases were decided elsewhere. Faced with a new legal question they would generally seek guidance from superior courts. Today, judges confronting new legal issues turn to the internet to learn how courts elsewhere in China, or even overseas, have dealt with similar issues. Such trends suggest there may be more room for courts to develop within the confines of the current political system than previously realized. Acknowledging this progress is not intended to deny the many problems and abuses that continue to plague the effectiveness of law in China — many of which are clearly evident in The People’s Court. 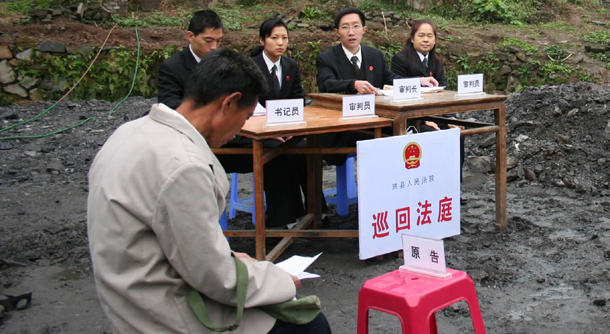 Courts remain subject to Party oversight and control, and are subject to a wide range of external pressures, including pressure from officials, from the Chinese media, and even from individual protesters. Intervention into cases by Party officials continues to be legitimate. Court finances — and judges’ positions — remain subject to local government control, making it difficult for courts to rule against local governments. And the authority of court decisions is undermined by a lack of finality in the Chinese legal system; cases can be reexamined at any time. Judges are often evaluated based on whether they get their decisions right in the eyes of their superiors. Yet getting a decision right may mean issuing a decision that satisfies public or official opinion, rather than legal standards.In a system in which the greatest fear of the leadership is instability, the incentives to align with populist views of justice are very strong — sometimes much stronger than the power of law itself. Control over civil society and activist lawyering has been tightened in recent years, in particular in the run-up to the Beijing Olympics. Authorities have restricted cases that they see as threats to social stability. For example, courts in some regions have been told not to accept class actions, despite the civil procedure law explicitly allowing group litigation. But the fact that we can use the terms “civil society” or “activist lawyering” to describe developments in the Chinese legal system is remarkable if we remember where China was thirty (or even fifteen) years ago. Having a legal system that serves as a forum for resolving individual grievances is in the state’s interests. It is far better to have farmers bringing suit in court than it is to have them protesting or burning down local party offices. Having such cases heard and resolved in the courts also sends a message that the legal system can be used to address rights-based claims of individuals. Yet creating incentives for more disputes to be brought into the formal legal system is a workable plan only if people feel that the system serves their interests. Too often the system is perceived as serving the interests of local officials or powerful people, and as being fundamentally unjust. China has devoted tremendous resources to legal education. Such efforts have worked — perhaps too well. Widespread legal education has created expectations that the system should protect ordinary people. There is risk, however, that interaction with the formal legal system may increase disillusionment, thus undermining the legitimacy of both law and the Party-state. Despite the progress in the Chinese legal system since 1978, many of the most difficult reforms remain to be undertaken. Within China there is widespread recognition that there are limits to what can be done in the current system, where courts lack authority and are subject to a range of influences that limit their ability to act independently. Far too often Party policies and the interests of individual Party leaders trump legal norms and procedures, especially at the local level. Reformers in China recognize that if the role of law itself is to be strengthened, the focus of legal reform efforts in China must extend to broader questions than just technical training of judges or the creation of new laws. Such reforms would include reducing courts’ links to local governments, making court finances independent, and reducing the ability of Party-state officials to intervene in cases. These steps would help to improve the quality of courts in China, even within the confines of overall leadership by the Communist Party. The problem facing China’s leaders today is that this next step of legal reform, in particular those steps that are most necessary for curbing the worst abuses in the system, require structural reforms. Many of these problems are at least in part the product of China’s particular political and institutional structure, one in which the Party retains overall guidance, courts have limited powers even formally, and in which incentives favor stability above all else. China’s new leadership have not show much interest in addressing these problems in their first few years in power. Thus we see new legislation, but not significant institutional reform. China’s leaders are not ignorant of the risks of failing to reform. The need for greater openness is acknowledged by China’s leadership, but it is also viewed with trepidation. Hence the state has tolerated and even encouraged recent efforts to strengthen administrative law, to have a greater role for public views in law drafting, as well as an active role for the commercialized (but still state-controlled) media in curbing abuses. Recognition of the need for courts to play a greater role in resolving conflicts also helps explain tolerance of innovation by the courts in some cases. But there have also been efforts to ensure that none of these developments lead to challenges to Party authority. The Chinese Party-state appears to be seeking to establish a system of controlled transparency in which oversight by a range of state and quasi-state actors is encouraged, but in which the role of non-state actors and activists remains limited. Creating a vibrant and largely fair legal system that is able to resolve both commercial disputes and individual grievances is an important element of this effort. It remains far too early too determine whether this strategy will succeed. One thing that is clear, however, is that China’s future legal and political development is likely to follow a trajectory that is unique to China. China today is an increasingly pluralistic society, one in which the greatest forces pushing legal development forward are the expectations of ordinary citizens about how the system should function — again something on display in The People’s Court. The Chinese legal system is evolving in many different directions, and the role of law itself is increasingly contested. The Chinese legal system is developing from the ground up in ways that neither outside observers nor China’s leaders can predict. Law may come to play a transformative role in China, but the evidence to date cautions against predicting such an outcome. The paradox of the Chinese legal system is that growing use and importance of law may serve both to empower individuals and to reinforce Party-state authority. Benjamin Liebman is a law professor at Columbia University and is the Director of the Center for Chinese Legal Studies.